Formulas in business work. They allow for consistency and scalability — critically important for a growth oriented company. McDonald’s employs a team of scientists to make sure a French Fry tastes the same in Alaska as it does in Alabama. Global technology firm SAP has such a defined approach to the implementation of its software they are often derided as being inflexible. I’ve personally seen the haunting challenges that arise from a failure to standardize. Years ago Strategic Communications Group (Strategic) worked for an innovative and entrepreneurial company called Export Software International. They customized their product to the unique needs of each customer, demonstrating an unmatched level of responsiveness. Yet, Export Software International was soon stuck maintaining, troubleshooting and upgrading multiple versions of the same product. Customer support costs exploded and staff turnover left the company scrambling to capture critical product knowledge. Five years ago Strategic embarked on a dramatic reinvention by shifting from a public relations focus to creating integrated content marketing and sales enablement programs for clients. This business reset was influenced by macro changes in the market, such as the enlightened buyer, as well as a desire to align our services with revenue-related success metrics. While our work still contributes to brand awareness and credibility, we also tie closely to a client’s lead generation, nurturing, deal capture and sales intelligence metrics. This brings us back to the issue of standardization. Candidly, we’ve had little of it in Strategic’s delivery of service while on this journey. The alignment of content creation and social engagement with sales outcomes has been the domain of early adopters. Our projects tended to be pilot oriented and funded out of modest line items for experimental programs. Plus, it has been an arduous period of learning with each campaign. We’ve grown smarter. We’ve added best practices. We’ve thrown out unsuccessful approaches. Come Monday we introduce to our clients a fresh and newly developed methodology for service delivery, reporting and success measurement. My colleague Jenna Sindle (perhaps the smartest person I know) did a Herculean job during the past few months to capture and document five years of best practices. We’ll face challenges as we roll this out. A few of our team members have expressed their desire for more flexibility. And I suspect certain clients may push us to step outside of the process and methodology to meet a specific desire. Staying true to our proven approach is now core to Strategic. It will ensure consistent and high quality delivery of service, and enable us to appropriate scale the business. 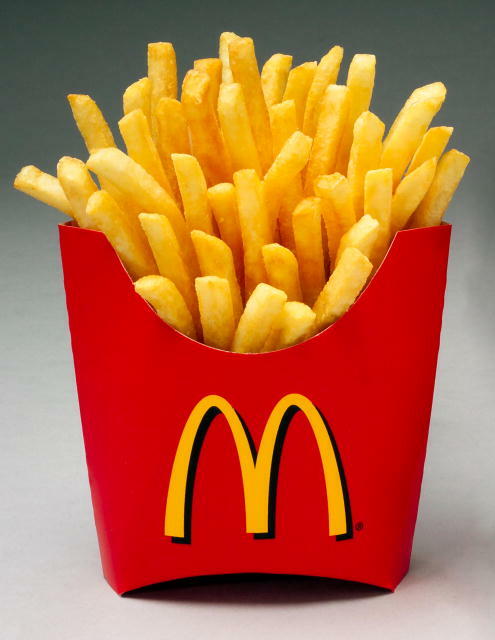 McDonald’s commitment to process makes sure a French Fry tastes the same worldwide. –The shift in influence from traditional sources of credibility such as journalists, analysts and conference organizers, to the community and conversation that define social networks. To be relevant with customers, prospects and partners at the initial point of interest, we work closely with our clients to become quasi-trade publishers. Our approach is to produce exceptional content to attract a loyal community of readers and then deliver measurable, sales-related ROI through the appropriate integration of lead generation and nurturing tactics. Our work on programs like Transformative Health, Engage Today, M-unition, FedUC and Federal Blueprint are all examples. In my pitch to prospective clients about our methodology I position publishers as dated and dusty in their thinking. And candidly, I believe we can all agree publishers have been slow to react to the massive disruption in their business model that occurred during the past five years. However, I now realize that I may have been too hasty and eager to toss publishers into the scrap heap occupied by irrelevant businesses such as music and video rental retailers. As it turns out, many traditional ink on paper providers have developed new and innovative sources of revenue. It is certainly a confusing world for corporate marketers because they have a myriad of vendor options when it comes to content creation, distribution and sales enablement. I’m still thinking through what this all means for Strategic Communications Group (Strategic) and how to most effectively position our approach in the market. Don’t be alarmed modern marketers, but there appears to be an epidemic on our hands. Numerous reports and surveys have surfaced recently that reveal a disturbing trend. It appears that while the vast majority of B2B companies are investing in social media marketing initiatives, few have clearly defined strategies or tactics for their efforts, and as a result, they aren’t seeing the fruits of their labor they had hoped to reap. You may recall our last article in which we discussed the fact that while most B2B companies are investing in social media marketing initiatives, the majority aren’t using social media for lead generation or lead nurturing activities. In the end, we stressed the importance of developing a social media marketing strategy that can identify prospects and their behaviors online, and use the intelligence to deliver the right message to the right person through the right channel. Today, we’ll be dissecting a recent study which shows that an overwhelming 91% of B2B marketers use some form of content marketing, yet only 36% believe their content-based marketing efforts are effective in producing results. A startling statistic like this may lead some to believe that content marketing is an ineffective tactic for sales integration or deal capture. Before buying into this myth, however, consider the example of Jason Westland, CEO of ProjectManager.com, who was profiled in a recent Forbes article. The company was launched in 2008 and within two weeks was working with NASA and the United Nations. Today, the company has 10,000 paying customers and by 2015, is projected to own 80% market share of online project planning. According to the article, Westland was able to accomplish all this without the use of any traditional advertising by simply making content marketing the central focus of his company’s marketing strategy. Westland’s two slides above provide a simplistic view on how his company leverages content marketing to drive brand awareness and sales. However, for many companies, these tactics won’t naturally fall into place without the creation and distribution of quality content. In Westfield’s funnel conversion process, a company can gain initial trust with the collection of a prospect’s email address. From here, it’s up to the company to build on this trust, which will require the creation and distribution of quality content (in this case a newsletter) that engages, educates, and entertains prospects to take the next step in the lead cultivation process. Overall, Westfield’s approach to content marketing serves as an incredibly successful example of the extraordinary results that can be achieved through effective content marketing. Marketers just need to develop and implement a unique, quality content creation and distribution strategy that attracts prospects to take action in support of sales outcomes. For further guidance on defining and creating quality content, check out the latest StrategicGuy blog post, 3 Hallmarks of Exceptional Content.